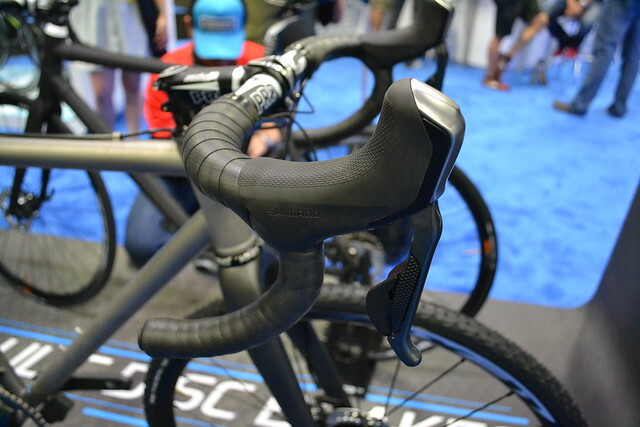 Coming from the MTB side I cannot wait until disc is standard on all road bikes. My next road bike will be disc, period. I’m done messing with brake pad alignment, premature rim wear, terrible stopping in wet conditions and squishy lever feel. I want proper hydraulics on my road & commuter bike sooner than later. 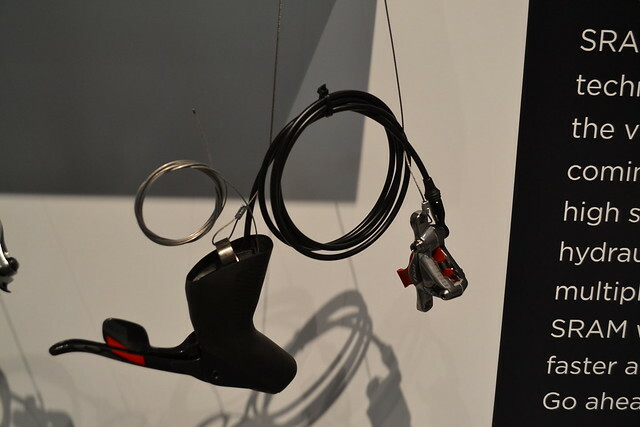 I really have no interest in discs on my road bike(s), but I wouldn’t sneeze at the idea. 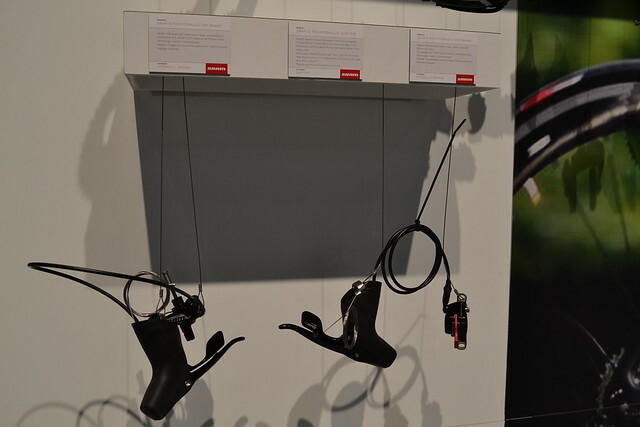 But, for commuters/CX/touring bikes, hell yes! 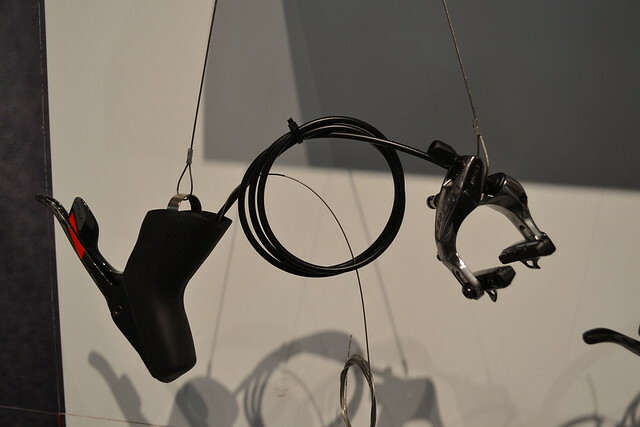 I’m not much of a mountain biker, so I have never used hydraulic discs, only mechanicals. Is the lever feel really THAT different? No mention of the TRP Hylex? That is the disc offering for which I am most excited. I’m with Jack—discs on a road bike seem unnecessary. But on a touring bike? Brilliant. Surly sells a disc-equipped LHT, and has for a couple of model years, I believe. Seems to me putting big discs on a heavy touring bike is a no-brainer. 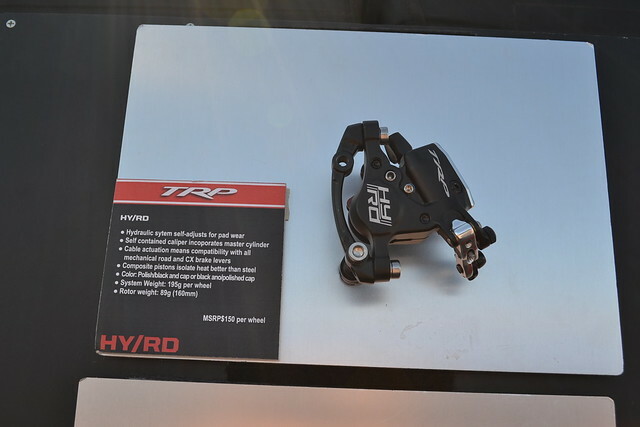 @Wayne — I was really focused on the HY-RD system, as I had just had a discussion with Redline techs about various brake systems for CX bikes…in fact, my discussion with them led to this article. I did see the Hylex system, but as I recall it, TRP had the brake body mounted to a display panel without the accompanying lever (my memory is always a bit suspect, I should add). So, I saw it but it didn’t register as important at the time. 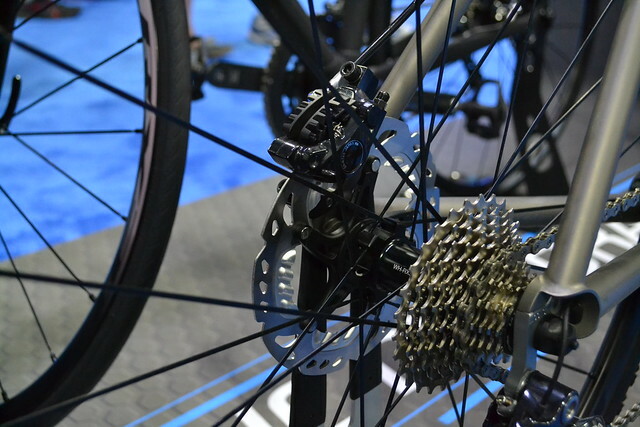 Now, for singlespeeders and barcon users, the Hylex might be a lovely option. I have one name for you Joseba Beloki. As long as road discs are easier to work on than the Hayes set on my wife’s Giant Yukon, they might be okay. Seems to me that hydraulics fall into the same box as does electronic shifting, though– if I wanted something that complicated and expensive, I would just get another car. @Bigben — yes, they are more complicated (at least at first) and certainly more expensive. But as the road technology matures and is adopted by more companies, both shortcomings will lessen. Hydro setup is tricky — but only the initial assembly and brake bleeding. When that part is accomplished, they are rock-solid. As long as everything remains sealed, they require no fiddling, and most pistons/pads self-adjust, unlike mechanical versions.